John Gray is well known for his work in broadcasting. As a news anchor he’s covered some of the biggest stories of our time and won several awards for his work in television. Now he and his special pal, Keller, are winning hearts together. 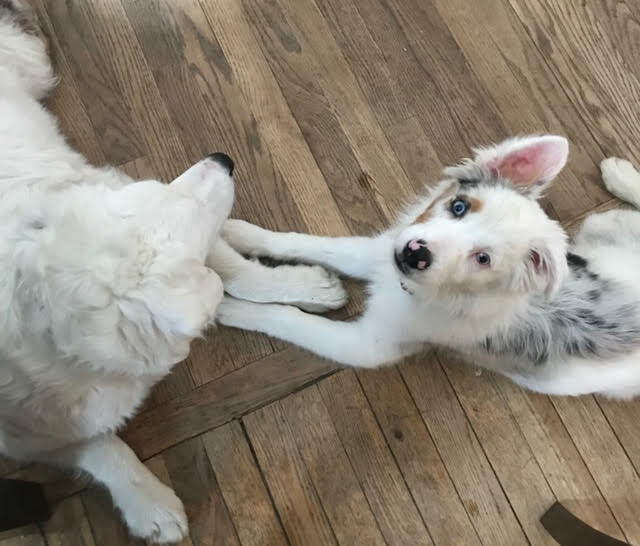 While volunteering at his local shelter when he met Keller, a 4-month-old double merle Australian Shepherd. 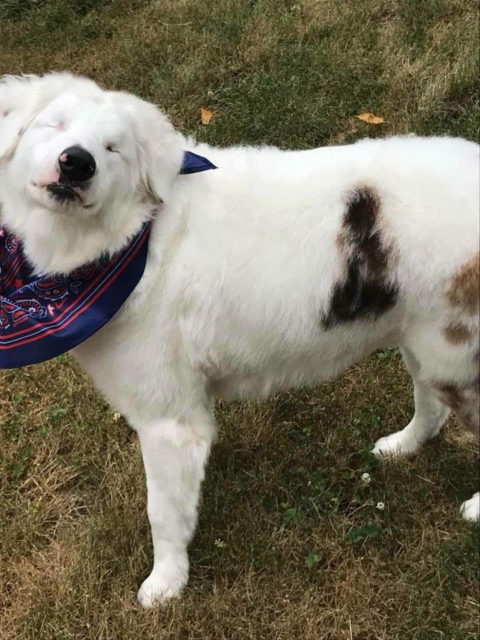 Like other double merle dogs Keller is completely blind and deaf. He was abandoned near a railroad track and left to fend for himself. They Grays knew that Keller was not like other dogs, and that a disabled dog could be a challenge. Still, they wanted to give him a place in their home. 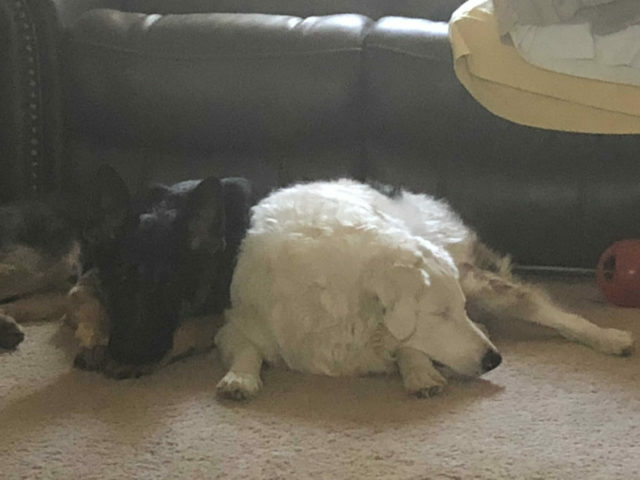 With caution, they introduced Keller to their German Shepherds, Sebastian and Winston, and their worries quickly melted away. Sebastian and Winston accepted Keller as one of their own, like a brother. Aside from being a bit protective, like big brothers would be, they don’t treat Keller as though he’s disabled – and Keller doesn’t seem to notice anyway! Still, because of his disabilities, Keller does navigate the world differently than he would if he had all his senses, but he has never allowed it to get him down. John was inspired by Keller’s spirit and zest for life, and thought that his story could help others who are living with challenges of their own – specifically, children. 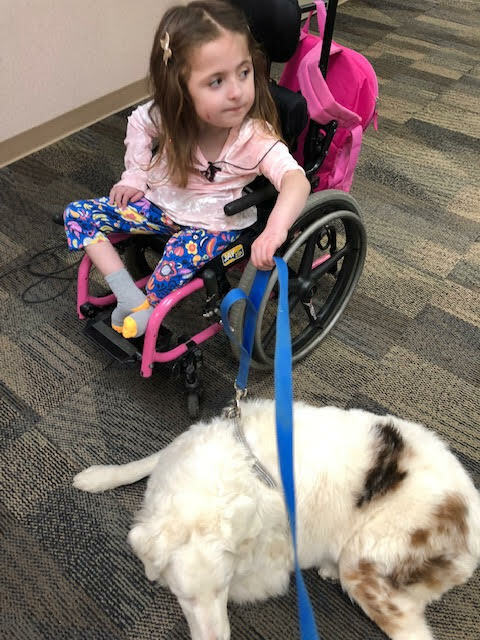 “After living with Keller for a year I was so inspired by how he handles his special needs, I thought children who are facing challenges need to see this puppy and how he took the lemons life gave him and made lemonade. He navigates the house and yard with ease and is loving with everyone he meets. John had previously written a book for children feeling the loss of a pet called “God Needed A Puppy.” It was well-received and has earned over $20,000 for charities. Children’s books were familiar waters for John, and his subject was one close to his heart. 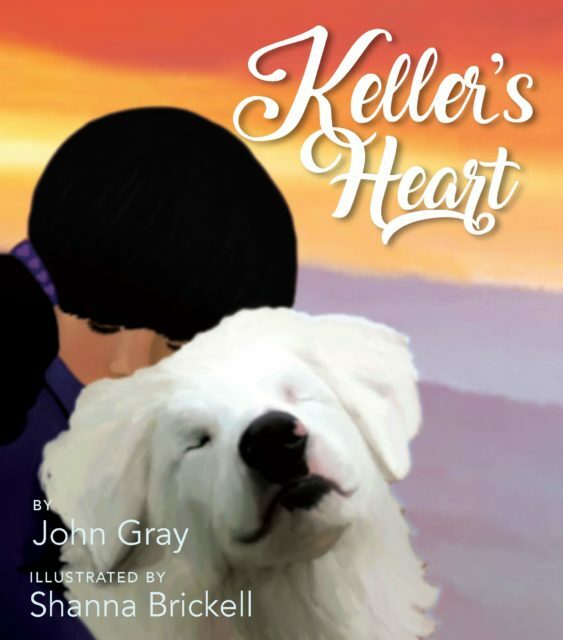 “Keller’s Heart” is the story of a lonely little deaf girl named Raven whose disability causes others who don’t understand her to treat her differently. Things change when she finds a friend in Keller, a dog who may be different, but not broken. In it’s first two weeks of sales, “Keller’s Heart” has been the #1 best selling book on Amazon for children with special needs. 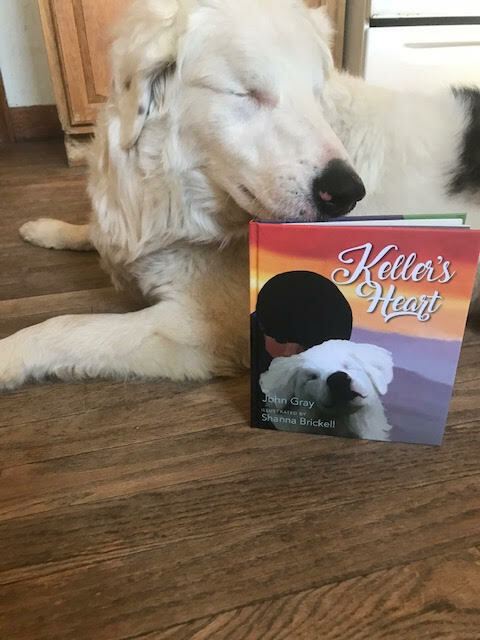 Not only does it mend hearts and give hope to children who may see themselves in the book as they read it, the Grays are also donating a portion of the proceeds to shelters that specialize in caring for special needs dogs like Keller. So far, over $3,000 has been donated. 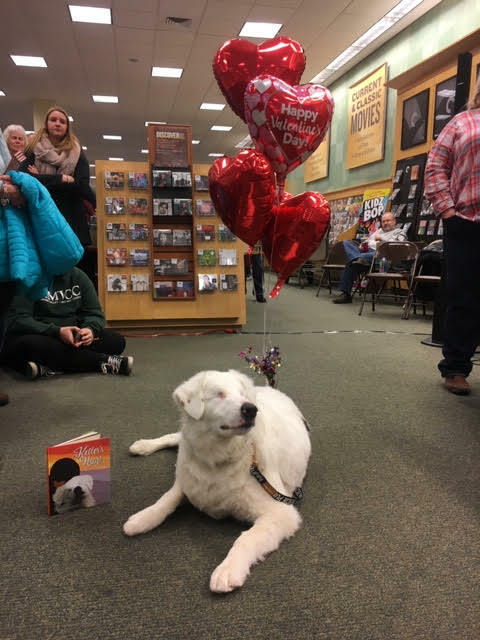 John says it warms his heart that his book is touching so many young lives, but he also hopes it will inspire others to give the special-needs dog at the shelter a chance. 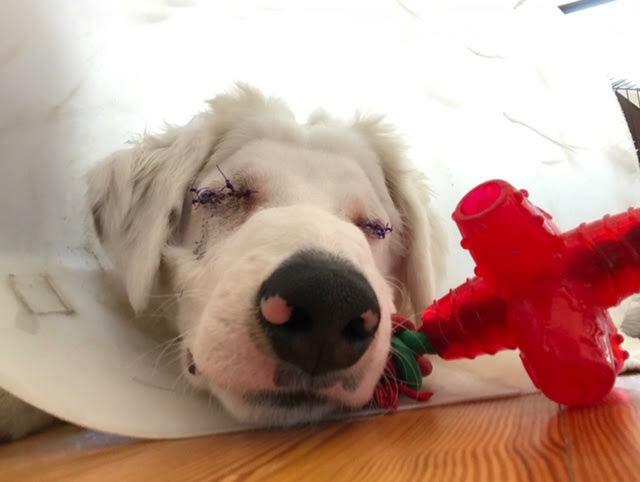 In fact, John’s family has been so happy to have Keller in their home that they’ve since adopted Eli, another deaf double merle dog! 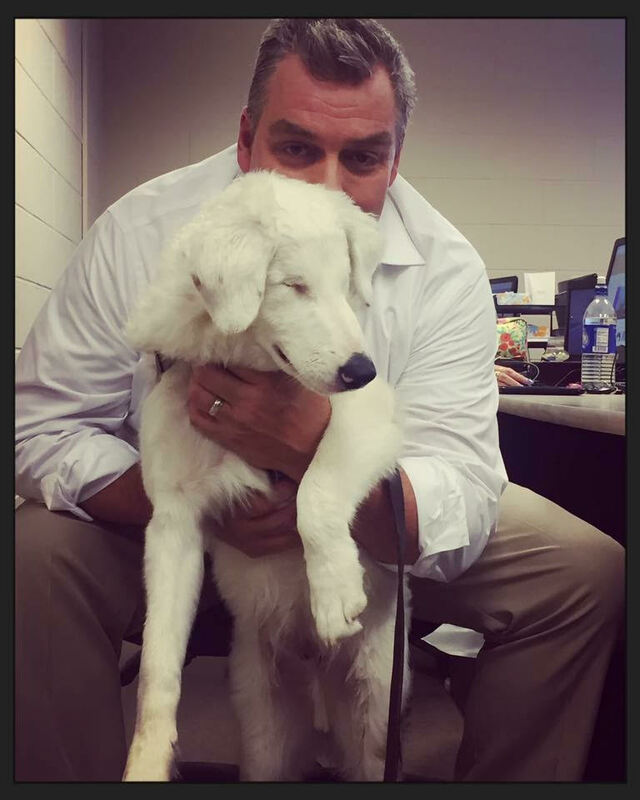 “I also thought his story could show people that they shouldn’t be afraid to adopt animals with special needs, they are awesome. That’s one of the coolest things, because of my Facebook posts about Keller in our lives and now the book I get messages from people who are now seeking out double merles and other animals that aren’t ‘perfect’ by our normal standards but perfect the way are. Follow John and Keller on Facebook! John Gray’s books, “God Needed A Puppy” and “Keller’s Heart” are both available on Amazon, and a portion of the proceeds from either will be donated to charity!